Crying three years of tears is how Kim Overton describes the moment she threw her arms around the woman who just gave birth to her son. A three-year process to welcome another baby had culminated in an emotional day for all in the delivery suite – but none more so than Kim, who was told fibroid tumours would prevent her from becoming a mother. Blogging about her journey as a single mum and her struggle with infertility and IVF, Kim was able to watch the birth of her baby, giving her a unique perspective on how her boy arrived into the world. Overcome with emotion while watching Oliver being delivered, Kim – who has since married – says her son is a miracle for many reasons. 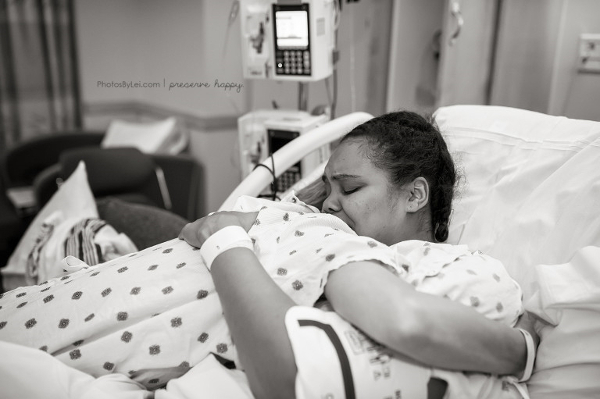 A beautiful photo essay shows the moment a mother sees her baby for the very first time, made all the more moving because none of it came easily. 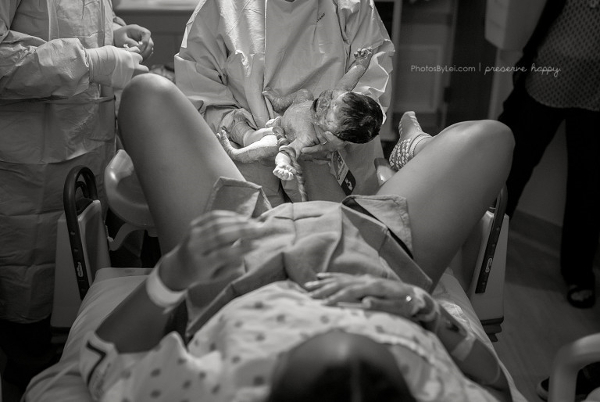 A myomectomy – the surgical removal of fibroids from the uterus – allowed Kim to have her first baby at 39. “Although the fibroids and being in my 40s didn’t make things easy, I was fiercely determined to have a second child one way or another,” Kim says on her blog. And she didn’t. Now married, her baby son sleeps quietly in his bassinet, his presence “surreal”. “His journey here was a long three-year process while I remained a present and positive mother to my first son. I never thought I would have a child through a surrogate mother, but I could not be more happy and blessed for how the story unfolded,” she says. Kim remembers having an emotional conversation with her cousin about her infertility, mentioning that she simply needed a new uterus. “We both laughed. If only things were really that easy,” she says. “But then we started talking about my cousin’s beautiful 26-year old daughter, Cydnee, who was a mother to two little girls. Surrogacy takes a ton of paperwork, a lot of patience, a number of doctor’s visits and is very costly, Kim says. 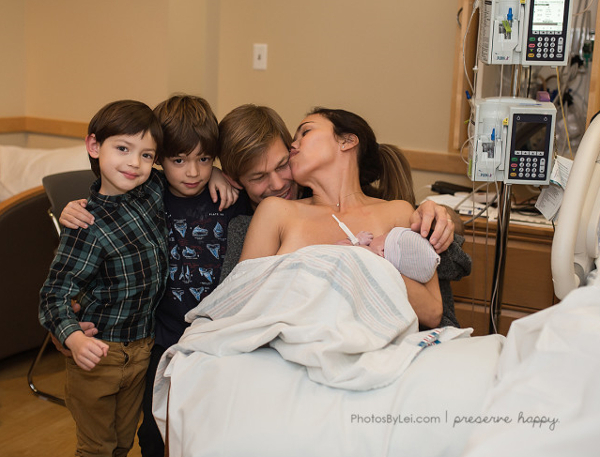 “The birth of Oliver came after…an emotional rollercoaster ride with extreme highs and lows,” says Kim. “I was beyond grateful for her (Cydnee’s) incredibly selfless act, and relieved that the long haul was finally over. 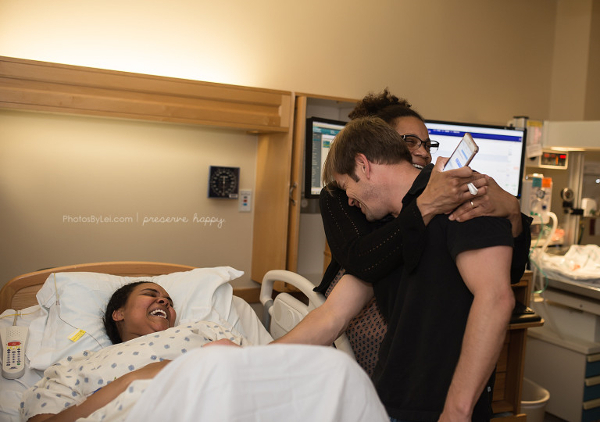 For more photographs that will make you cry happy tears, have a look at the surrogacy tale that has finally given an anguished family their happily ever after.